Home Curly Hair Products Is a Customized Curly Hair Shampoo For You? Does it ever feel like it can be hard to find a shampoo that works exactly for your curly hair? We feel you, girls. If you've ever struggled to find the right kind of shampoo for your hair, then perhaps this is the way to go. One of the newest hair care companies on the scene, Function of Beauty, offers customizable shampoo and conditioner solutions. To find out exactly how to formulate your shampoo, Function of Beauty guides you through a series of questions designed to get a full understanding of your curly hair type and your individual needs. The questionnaire ensures you will receive a shampoo that has been specially formulated just for you. You can make the process go more quickly if you are prepared with your curl type and needs beforehand. 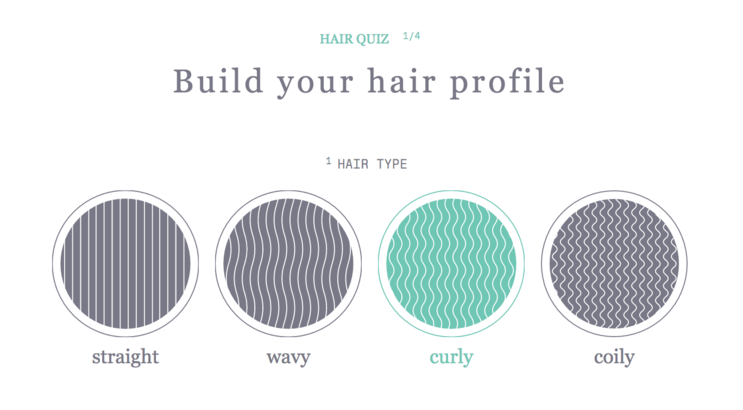 After you've selected your hair profile type, you will be asked to identify your top five curl goals. Each goal will show you information regarding your curls and how to achieve optimum health. To round out the customization of your product, you get to do the fun part of selection color, scent and a name of your product. The product allows you to select the strength of scent in your shampoo, from light to strong. You can also choose to add essential oils, which can be helpful to your curls' health. To complete your experience, you can choose the sizes of your products, so if you tend to go through conditioner quickly, you can opt for a large bottle of conditioner and small bottle of shampoo. The products range in price from $20-$46 depending upon the size of the bottles you order. It can also take several weeks to get your order, so plan accordingly. Click here to read more about the products. Have any of you tried these shampoos and conditioners? Did you like them? Let us know! Is There A Bias Against Naturally Curly Hair?